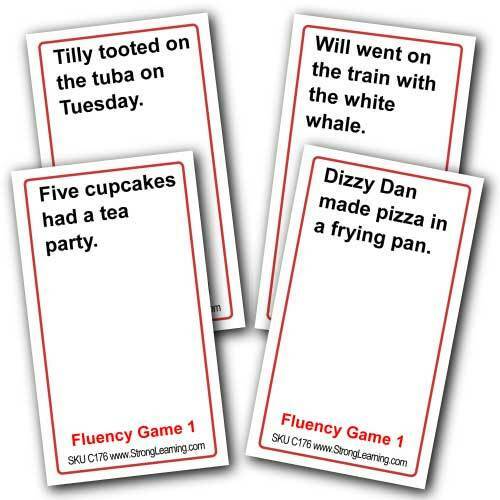 Fluency Improves when Kids Play These Fun Games. Jake is playing Go fish with a deck of cards created for reading fluency. with the same deck of cards. Jake and other kids have so much fun playing the Fluency Games, they don't realize they're also becoming better readers. As they read sight words and beginning phonetic words more accurately and faster, their fluency improves. Beginning with either Level 1 or Level 2, kids progress quickly as they practice reading these funny sentences over and over again. Watch Jake and Dr. Linda Silbert play Go fish with the Reading Fluency Games to see how the game works.